Lovely, inspiring poems. 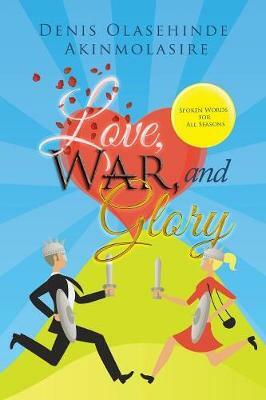 Love, war and glory is a collection of poems structured with the three concepts as headings, Love, War, Glory and a fourth one, Life Stories. The poems are all short, and there are several of them. In the ebook, each spans about two pages. Some of the poems have short paragraphs (stanzas) while others look more like prose but still hold that poetic feel. The collection in this book comes from the author’s own life, experiences, and thoughts, and for some of them, a lot of people can relate to. There’s something in here for just about everybody. Each poem will inspire something different in each reader, and it’s been some years for me, but some of the poems in this book are inspiring me to write again. I read this in one sitting, but you can just as easily read a few poems at a time with pauses in between. There are some I’ll be going back to, and some I’ll be showing off to friends and family, because I want to get a better feel for them. I want to know what each inspires in me, individually. I feel like I just picked up my muse after a long dry spell. A wonderful read.